With your Nikon Z6 or Z7 mirrorless camera in this Nimar Underwater Housing, you can capture beautiful images of the undersea world at depths as great as 328'. The enclosure features a moisture alarm that alerts you in the unlikely event of a breach in the waterproof seal. Dual direct plug-in ports and an LED sync flash trigger permit the use of fiber optic strobe cables, while an M14 port allows for the addition of a sync cord bulkhead connector and an M16 port accommodates an HDMI connector. There's also a port for an optional vacuum system to check the integrity of your seal before diving. Mechanical controls afford access to virtually all camera functions, while dual ergonomic grips improve handling and provide attachment points for optional lighting arms. The housing ships without a required lens port, and accepts interchangeable ports for many different lenses. 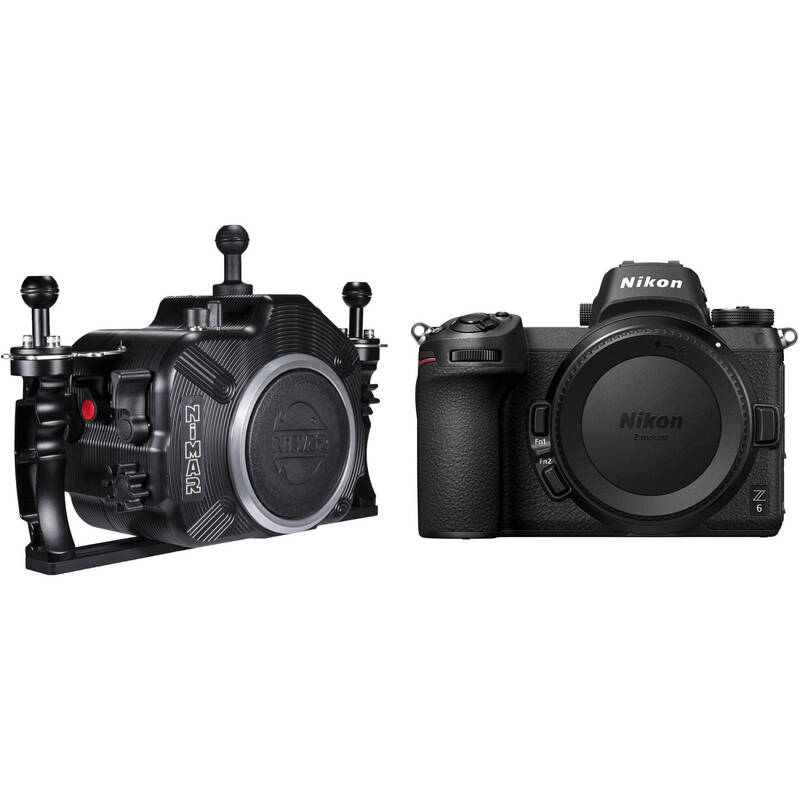 For compatibility, please see the Port Chart Built with durability in mind, the housing is crafted from corrosion-resistant acetal resin and aluminum alloy, with a clear back so you can monitor the camera and O-ring seal. Snap-locking latches ensure that the enclosure stays shut during your dive. Box Dimensions (LxWxH) 9.0 x 7.0 x 5.0"